Games Workshop has a whole slew of new products for Kill Team. 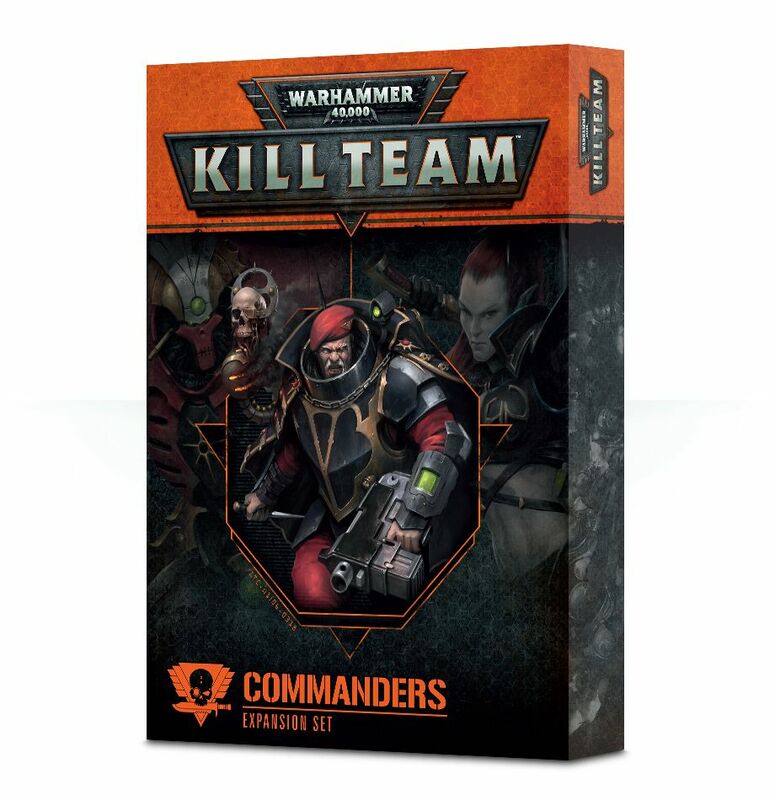 Get your Commander Pre-orders this weekend! 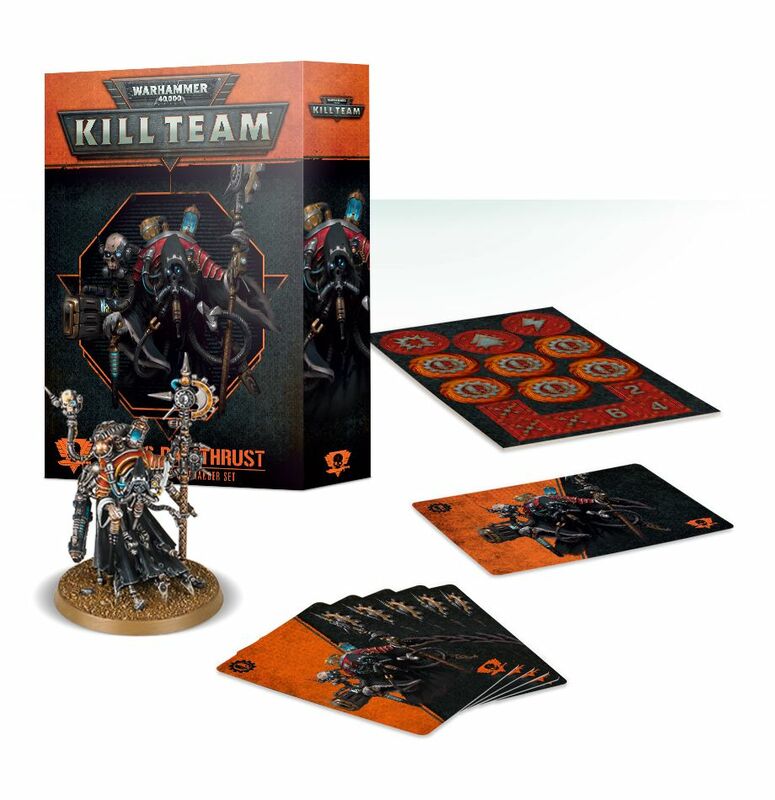 It’s that time of the week again – check out all the new Commander sets for Kill Team from Games Workshop. 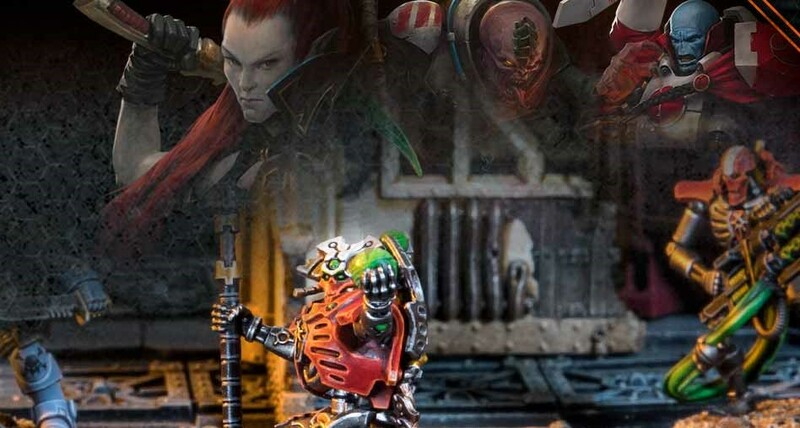 The towering Necron Overlord known as Ankra the Colossus never forgives a slight, and as he possesses a body of immortal metal, has had time enough to repay nearly every insult dealt against him. His current vendetta is against the T’au of Omis Prion, who have foolishly interrupted his search for the laboratories of the Triumvirate of the Crimson Sceptre. Ankra has resolved to settle this matter in person, telling himself it will be more efficient that way – though in truth, it is just as likely he wishes to feel the splash of hot blood upon his metal body once more. – An Overlord: this multipart plastic kit is used to represent Ankra the Colossus – or the Commander of any Necron kill team you wish. Posed with the kind of triumphant attitude you can only really get from millennia of slaughter, he wields a voidscythe and resurrection orb. – A sheet of tokens for use in games of Kill Team – this includes 1 Move/Charge token, 1 Fall Back/Advance token, 1 Ready/Shoot token, 6 Tactic/psychic power tokens, 3 wound tokens, and 3 objective tokens. Feodor Lasko is despised by thousands of Astra Militarum in the Vigilus System, for he has a reputation for making callous, spur-of-the-moment executions – his role, however, is as much warrior as disciplinarian. Drop Force Imperator of the 46th Zetetic Tygers have been engaged in a running battle against a monstrous predator – the kind that claimed Lasko’s eye and right arm on the nearby planet of Densa Grande. He torched that beast with his plasma pistol and hopes to achieve similar results on Vigilus. Shas’nel Twinflame specialises in infantry close assault. It is he that trained Advance Team Starpulse in the academies of Vior’la, and he that tempered their hot-blooded hunger for battle with the strict discipline of the Fireblade’s art. Twinflame believes that his technique of overlapping fields of infantry firepower – known as Vashi’va – has the potential to save the lives of thousands of future Fire Warriors and Pathfinders. He leads Advance Team Starpulse to war hoping to prove his theory sound. – A Cadre Fireblade: this multipart plastic kit is used to represent Shas’nel Twinflame – or the Commander of any T’au Empire Kill Team you wish. His armour is elaborate, with T’au symbols adorning the various panels, and he holds aloft a large bonding knife, a long-barrelled pulse rifle with marker light at his hip. Even before he rose to lead a brotherhood of the Deathwatch, Acastian of the Ultramarines was known for his calculating demeanour. It is said that he can calculate the number of warriors needed for a victory with but a quick glance at the battlefield. With the resources of an entire Watch Fortress at his disposal, he has waged war in the Vigilus System, personally leading 8 missions to victory, most recently crossing swords with the Drukhari. – A Watch Master: this multipart plastic kit represents Gaius Acastian – or the Commander of any Deathwatch Kill Team. Wielding a guardian spear and a clavis – a device which can interact positively or negatively with any machine the Watch Master turns his attention to – he wears heavy Deathwatch armour and stares impassively through an optical implant that dominates his face. – An Ork Warboss: this multipart plastic kit represents Gitzog Wurldkilla – or the Commander of any Ork Kill Team you wish – a tall, muscular and imposing sight even by Ork standards, accompanied by a large, impressively-betoothed squig and clutching a kombi-weapon in one hand, the other replaced entirely by a vicious power klaw. Always watching, always studying, Magus Dalathrust is an unblinking spider in the tangled webs of Megaborealis. It is his desire to unlock the secrets of the alien technology that lies beneath Vigilus’ skin. He has determined that the Skitarii kill team known as Gamma-Zhul 881 are the most likely of their kind to survive fierce resistance, and he has commandeered them as a bodyguard as he peels back the layers of mystery that shroud the planet – killing anyone that stands in his way. Torrvald Orksbane is a psyker of impressive power, able to conjure blizzards of destructive energy from the air and send bolts of freezing cold crackling from his fingertips. He has a knack for hunting Orks, saying he can ‘see’ their raw aggression on the wind – as a Space Wolf his every sense is sharpened, and as a Librarian, that includes those beyond mortal capabilities. When the force fields that protected Megaborealis went down, Torrvald lived up to his name, seeking out the Reivers known as the Fangs of Ulfrich before taking the fight to the Orks in the borer-hives. Vysa Kharavyxis was once a favoured champion of the Crucibael, bestowed the rank of Succubus by Lelith Hesperax herself. Gored to death by a tentacled Mortipod in the contests of the Wych Cult of Strife, then resurrected by her flesh-surgeon accomplices, Vysa hunts new beasts and warriors for the arena, refining her duelling technique against them before they can reach the Dark City – and the show begins for real.